Get ready to take a major trip down memory lane with *NSYNC’s new Capsule Collection featuring clothes and other goodies that will definitely have you reminiscing about the early 2000s. Made in collaboration with merchandise partner Epic Rights, the collection includes a doormat that says “bye, bye, bye” (for that friend who overstays their welcome), a set of multicolored pins with *NSYNC lyrics, and a four-coaster set featuring prominent album covers. The collection is relatively small with under 25 items and is only available until Oct. 26th – that’s six more days to decide between the *NSYNC wine glasses and *NSYNC mugs… or you could get both! Don’t worry about missing the date because the website has a giant timer right up top to let you know how many days, hours, minutes, and seconds are left before the capsule goes bye, bye, bye. No pressure! If your style is a little more subtle than coasters featuring the faces of five men, the Capsule Collection features several simple and sophisticated options with just *N or *NSYNC to show off your love for the band, like the 2001 Dad Cap, made of 100% cotton and an adjustable strap, or the multicolored Top of My Mind *NSYNC beanie because you know it’s time to put that summer wardrobe away. My personal favorite is the Once in a Lifetime Bomber Jacket, an insulated, red satin jacket featuring the five band members on the interior – simple on the outside, guilty pleasure on the inside. At $175 this jacket is no cheap find, so text it to a parent or a friend with a reminder that the holidays are right around the corner! Even if you don’t end up buying anything, the online store has a fun feature up top letting you catch up with Chris, Lance, Justin, CJ, and Joey on social media in case you, like me, had kind of let them fall off your radar. Looking through Lance’s Instagram and Joey’s Twitter made me nostalgic enough to launch a full force album listening party, where I was the sole attendee and my bedroom mirror was the sole witness of my dance moves. 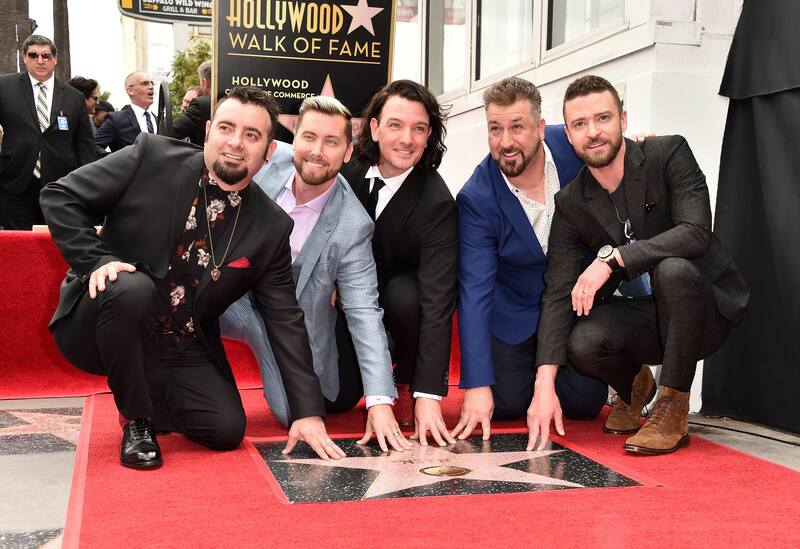 This merchandise release has some people wondering about an *NSYNC reunion, but Lance Bass recently told HollywoodLife not to expect a reunion anytime soon — even though it’s a total possibility in the future. Sorry, fans! For now, all we have are some fabulously designed home goods and clothes and the hope that our favorite boy band will get together again and tear up our hearts on stage at least one more time.